Fitch also slashed GDP growth forecast for current fiscal ending March 2019 to 6.9% from 7.2% projected in the December edition, the report added. 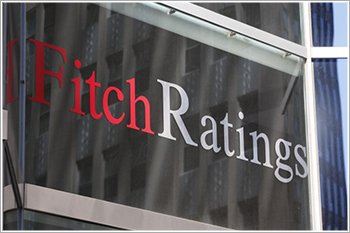 Fitch Ratings has cut India’s economic growth forecast for the next financial year starting April 1, to 6.8% from its previous estimate of 7%, on weaker than expected momentum in the economy, as per media reports. According to Fitch, the RBI has adopted a more dovish monetary policy stance and cut interest rates by 0.25% at its February 2019 meeting, a move supported by steadily decelerating headline inflation. The slowdown has been driven by cooling activity growth in the manufacturing sector and to a lesser extent agriculture. Weaker momentum has been mainly domestically driven. The rating agency has also cut its global GDP forecasts for 2018 and 2019 at 3.2% in 2018 and 2.8% in 2019 from 3.3% and 3.1% respectively projected earlier. It, however, retained China's growth projection at 6.6% in 2018 and 6.1% in 2019. We have reduced our global growth forecasts for 2019 and 2020 to 2.8% from 3.1% and 2.8% from 2.9%, respectively. The 0.4% decline in growth we are now expecting between 2018 and 2019 would be the biggest year to year decline in global growth since 2012. Furthermore, out of 20 countries covered in the GEO, we have lowered our 2019 growth forecasts for 15 of them.